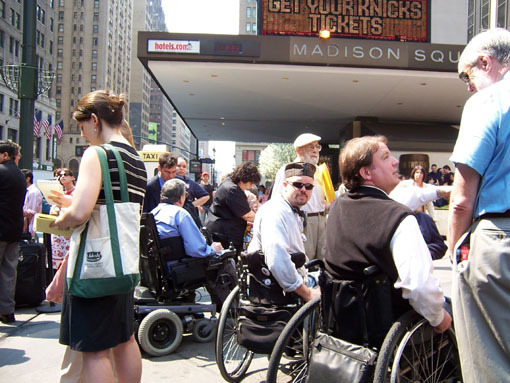 Some of the people in wheelchairs talk with news reporters in front of Manhattan's Penn Station. Others are seen standing around like Sidney Emerman (pictured center, wearing cabbie hat). Pictured right in his wheelchair is Alexander Wood, with his back turned to our view and talking with a bystander standing to his right.